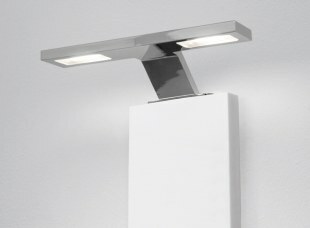 IP44 lamp with elegant and refined design, led technology, wall fixed. Structure and molding chromed like mirror. 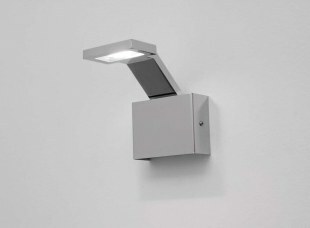 The luminous flux is directed and angled downwards through a special screen with lens. 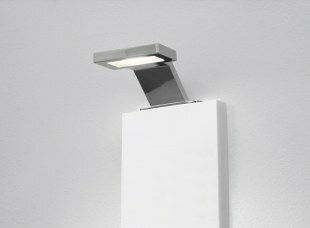 Find perfect location as a design element thanks to the effective lighting. Structure and molding chromed like mirror. The luminous flux is directed and angled downwards through special screens with lenses. Find perfect location as a design element thanks to the effective lighting. IP44 lamp with elegant and refined design, led technology, fitting protruding. Structure chromed like mirror. The luminous flux is directed and angled downwards through a special screen with lens. The perfect location is the bathroom thanks to the effective lighting. Structure chromed like mirror. 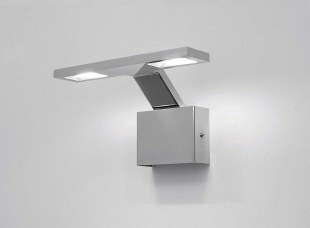 The luminous flux is directed and angled downwards through special screens with lenses. The perfect location is the bathroom thanks to the effective lighting.